Similar to many healthcare service providers, radiologists are turning to business analytics or “business intelligence” tools for data in order to streamline their workflow and improve processes. Analytics software helps radiologists to use programs to gather data, and combined with graphic visualization, leverages the information to identify workflow issues and make evidence-based changes to their processes. Radiology administrators and managers can benefit from having the tools that enable them to integrate, store, and analyze data from multiple non-communicating electronic resources. Not only will they be able to analyze trends and support decisions in real-time, but the information can help them evaluate efficiency, monitor quality and safety, meet regulatory and reimbursement requirements, and evaluate financial performance. The business analytic processing tools aggregate data from multiple sources into one unified database to provide critical radiological metrics in a comprehensive presentational view that help you uncover meaningful patterns and insights into you business. One of the best reasons for using business analytics is to determine whether or not your equipment utilization rate is causing you to lose business. It can measure to what degree you are using CT or MRI equipment and if you are getting the most out of those units. You can also find out if one machine is being overused or if your clients must wait a long time for service. The software can also help you measure personnel utilization to find out how you or your staff uses time. For example, business intelligence can reveal how busy your pediatric radiologists, neuroradiologists or other specialists are. This can help you make better use of their time. More efficient and cost-effective exchange of patient information with referring physicians. Business analytics not only enhances your ability to improve the quality of care, but also to measure your performance against established benchmarks. There are dozens of radiological applications. 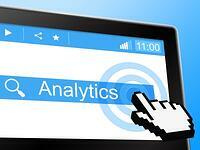 You will need to identify the analytics tools that work best for your practice. Besides determining what your needs are, you must also assess other factors like price, contract terms and ease of implementation. Employing business intelligence in your radiological practice makes your operations more efficient, facilitates your decision making process, improves patient outcomes and boosts your revenues.